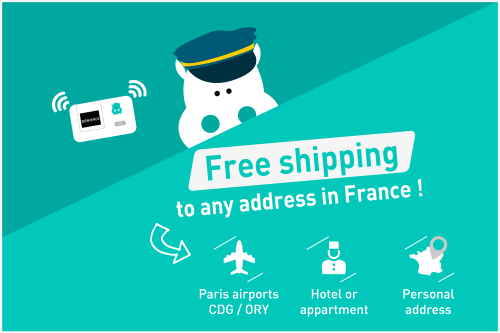 Free shipping in France on all orders! Hippocketwifi is now offering free shipping on all orders, with no minimum order or special exceptions. Returning your pocket wifi is free too, as we will provide a prepaid envelope. At the end of your rental, put the pocket wifi and accessories into the envelope and drop it in any yellow postbox (at the airport for example). ← We win Innovation Award for 2014 !